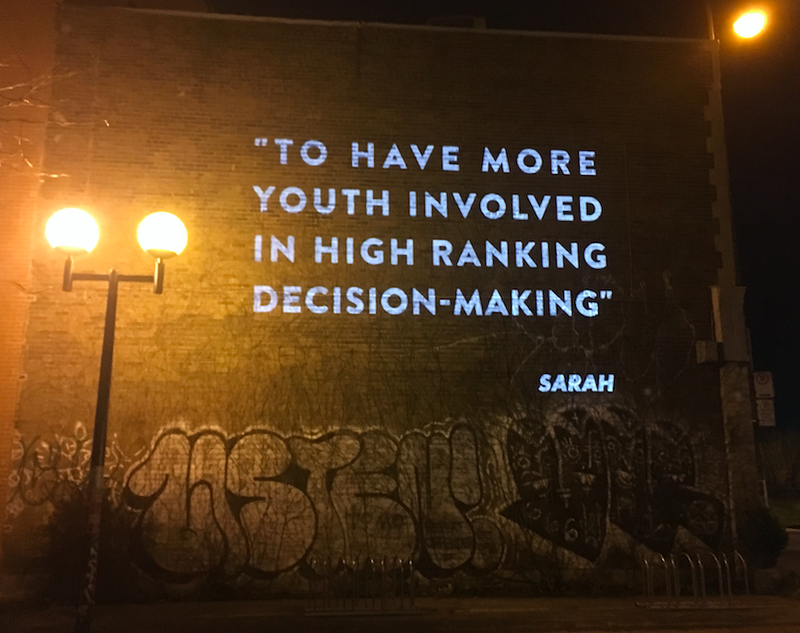 HUB Studio was mandated to design and create the video projections for the 150 Years Young project led by the non-profit Apathy is Boring. 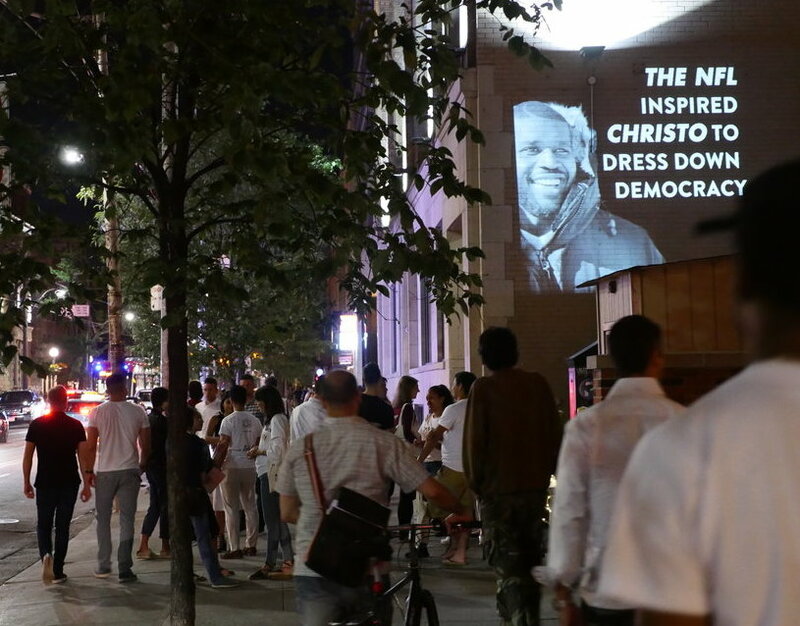 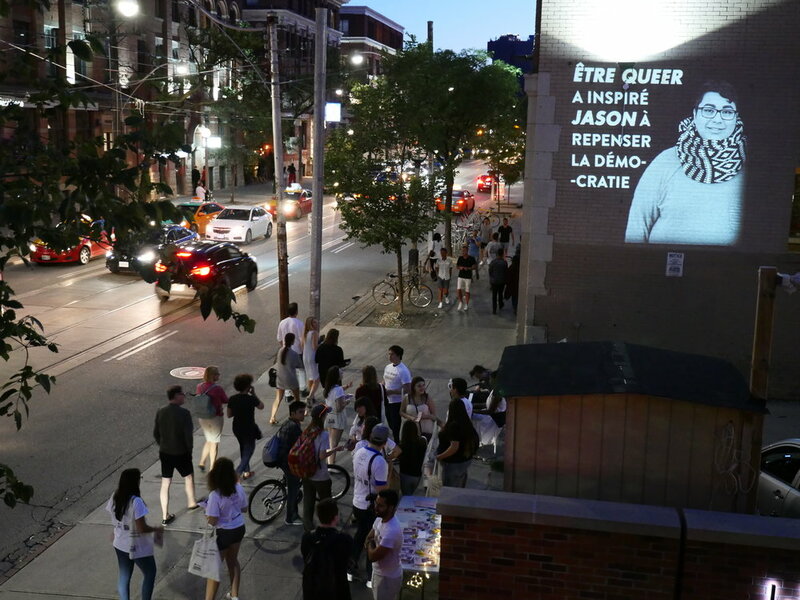 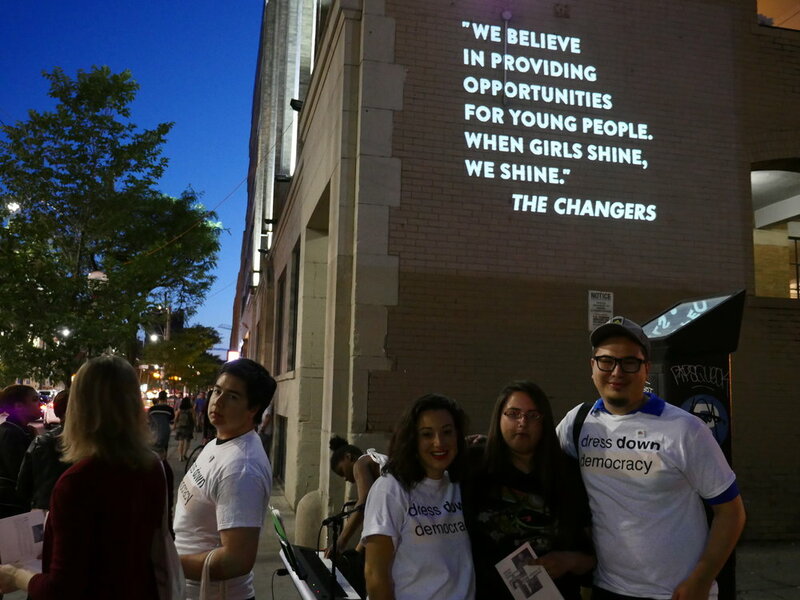 Because art is a powerful and effective way of breaking down barriers and inspiring conversations, the photos and captions being collected from youth across the country were shared online and projected on buildings in five cities in Canada. 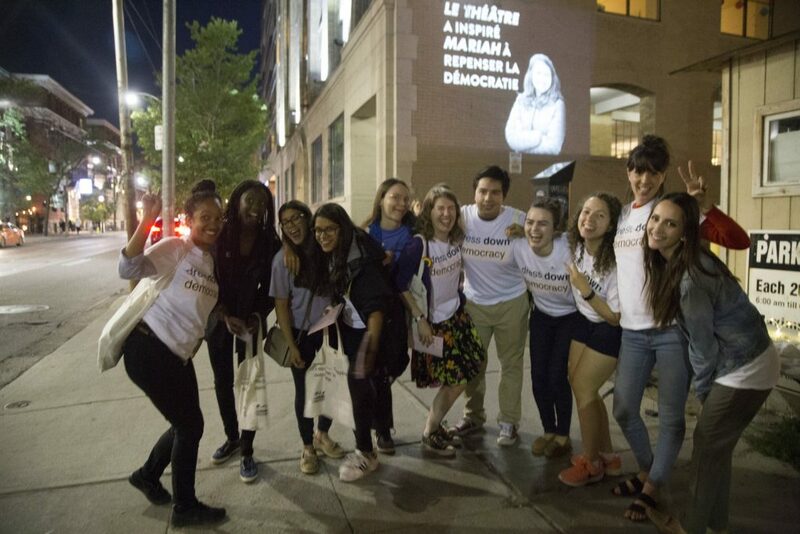 The events’ objectives were to facilitate meaningful conversations that will inspire reflection and action. 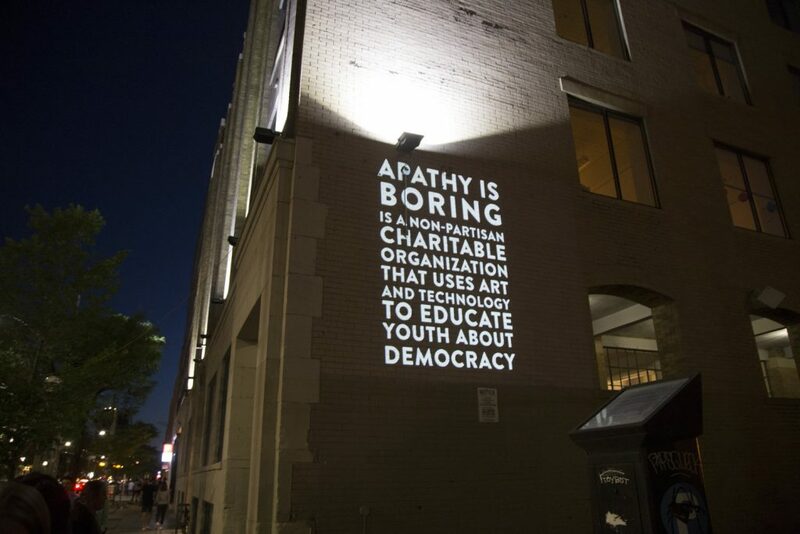 Photo by Apathy is Boring.